Governor of Akwa Ibom, Udom Emmanuel has confirmed reports as to his whereabouts during the collapse of a church building in the state. In a press statement signed by Personal Assistant to Governor for Information, Mr. Ekerette Udoh, Emmanuel said he was inside the building when it came crashing. The governor, who commiserated with the families of the victims, said an enquiry will be conducted to ascertain the cause of the collapse. 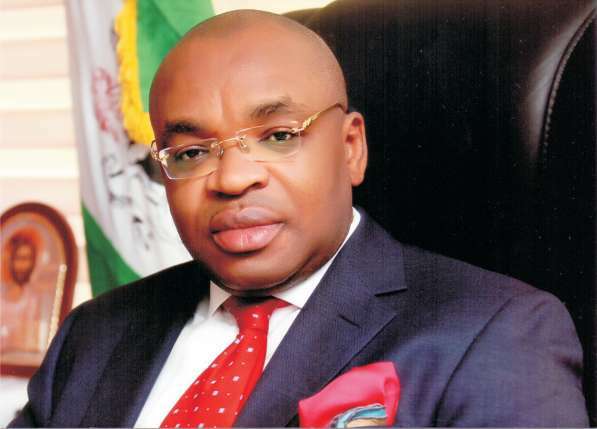 The statement read, “The Government of Akwa Ibom State has commiserated with the families of the victims of the collapsed building at Reigners Bible Church International along Uyo Village road. “His Excellency, the Governor of Akwa Ibom State, Mr Udom Emmanuel was present at the church service during the incident and thereafter personally supervised rescue operations and evacuation of the injured to the hospital. The State Government will undertake the medical treatment of the victims.